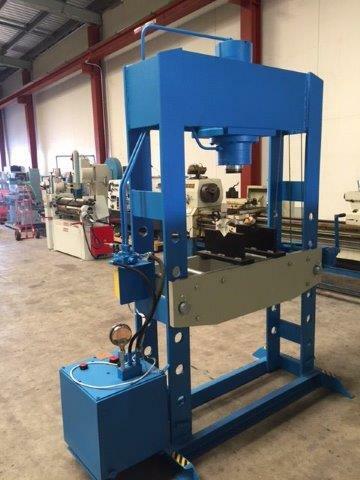 Motor-driven hydraulic press 50 Tonne with the high-pressure gearbox, fitted with a calibration valve and three position drive distributor (forward / neutral / reverse. 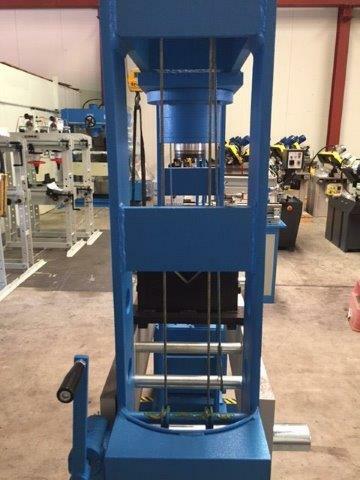 Equipped with a winch to lift or lower the table & vee blocks as standard. Manufactured in Italy.